The Champions League returns this week with the first legs of the quarter-finals, and there are some mouth-watering matches in store. Top of the bill in Tuesday night’s action is a repeat of last year’s final as Atletico Madrid play host to Real Madrid, while Juventus and Monaco face off in the other tie. Wednesday night sees Barcelona in action against an Ibrahimovic-less PSG, with Bayern Munich taking on Porto. For the best match betting tips on the games, check our detailed preview here. We’re also looking ahead to some longer term bets in the competition, and we’ve been perusing the various betting markets to find some different ways to bet on the Champions League. We already tipped Bayern Munich to win the competition, at a decent 333/100 4.33 +333 3.33 3.33 -0.30 back in November, and we advised a tickle on Christiano Ronaldo to finish as the tournament’s top scorer when he was available at 7/2 4.50 +350 3.50 3.50 -0.29 in February. Now we’re looking towards the final itself, and two teams stand out as the most likely to go all the way – Bayern Munich and Barcelona. These are the top five potential finals in the betting, and it’s clear from these odds who the bookies expect to progress to the semi-finals. Bayern Munich received arguably one of the better draws when Porto came out of the hat, and although the Portuguese side have done well to get this far and shouldn’t be underestimated, there is a clear gulf in class between the two sides. Bayern also have the luxury of playing the second leg at home, and it’s difficult to imagine an upset in that tie. Barcelona face a tough task against PSG, but it has been made much easier by Zlatan Ibrahimovic’s suspension, and the Catalan side look ominous this season. They sit at the top of La Liga, and have a fearsome strike force in Messi, Neymar and Suarez. They also play the second leg at home and it’s hard to argue with the bookies on their prospects of reaching the semi-finals at least. Juventus are clear favourites to find a way past Monaco, and the French side may be a little like Porto in the respect that they’ve done well to reach this point. They’re not without a chance of upsetting the odds, especially as they have the second-leg home advantage, but Juventus are a formidable outfit. Finally, Real Madrid probably have the hardest task, of overcoming city-rivals Atletico in their quarter-final. We wouldn’t call this one as clear-cut as the bookies see it, and Atletico are more than capable of winning through. It really could go either way, and that’s enough to put us off either side from the point of view of reaching the final. Looking beyond the semi-finals, who do we think will contest the final? For our money, the three sides most likely to earn a place in the semi-finals are Bayern Munich, Barcelona and Juventus. The Madrid derby is too tight to call, and it’s worth noting that neither side had a good recent record in the Champions League prior to last season. It was Atletico’s first appearance in a Champions League final, and Real Madrid hadn’t reached the final since 2002 when they beat Bayer Leverkusen 2-1. Of course, naming the two finalists at this stage comes with the inherent risk that they will be drawn together in the semi-final, and we wouldn’t put anyone off backing each/either team individually as a single. 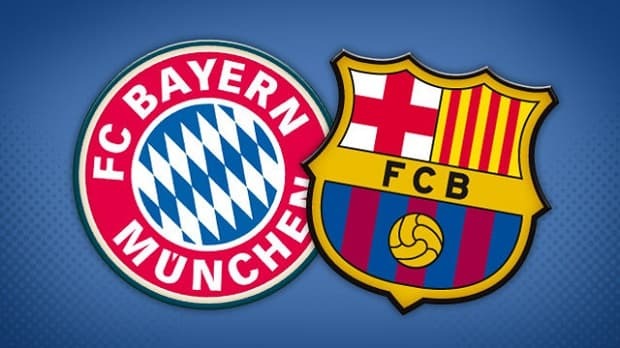 However, with most bookies offering 7/2 4.50 +350 3.50 3.50 -0.29 on a Bayern v Barca final, Boylesports do stand out at 9/2 5.50 +450 4.50 4.50 -0.22 and it might be worth the risk that (arguably) the two best sides in Europe will be kept apart in the semi-final draw. Barcelona are two points clear of Real Madrid at the top of La Liga and they’ve been in scintillating form over the last few months. Only a 2-2 draw with Sevilla and a 1-0 loss to Malaga have blotted their copybook over the last 22 matches, of which they won the other 20. They swept aside Manchester City with a little too much ease for the English team’s liking, but the quality running through the Barcelona side was there for all to see. They won the competition in 2009 and 2011, but it’s been a long three years since they reached the final. Bayern Munich have a comfortable ten-point lead at the top of the Bundesliga and yet another German title is almost in the bag. They had a man sent off in a 0-0 away draw against Shakhtar Donetsk in the first leg of the last round, but hopes of an upset were quickly put to bed with a 7-0 thrashing back in Germany. It would be a major shock if they failed to get past Porto. Bayern have contested three of the last five Champions League finals, and it would be no huge surprise to see them there once again.